Do you know a Registered Student Organization (RSO) working on incredible projects, endeavors, or going above and beyond to create a community space for their members/the greater Cal community? 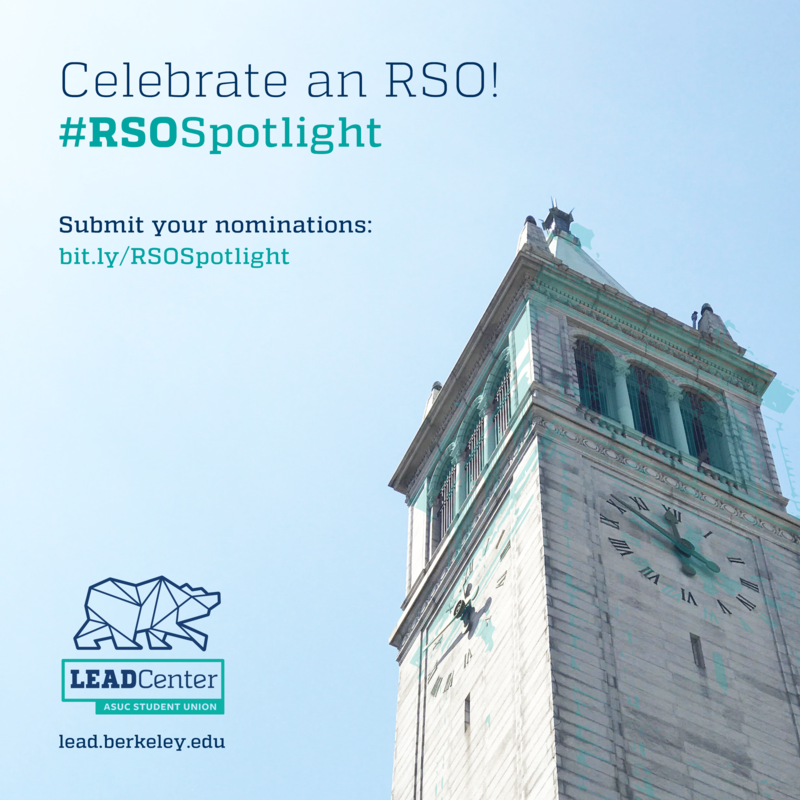 We would love to hear about it and celebrate them through the LEAD Center’s RSO Spotlight! The RSO Spotlight aims to celebrate student organizations through the LEAD Center’s platforms (Facebook, Instagram, Newsletter) to help extend the RSO’s reach and the school’s awareness of the organization’s purpose, membership, and opportunities. You can nominate a student organization here. Check out our past RSO Spotlights here.